Added ncping to launcher params. 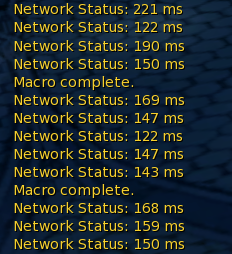 With Ripforge recent update to their trimmed version of 4.6.2 (missing lots of content), the latest Aion client available to Europe brings “NC Ping” feature in the system options. “NC Ping” is nothing more than what “ARM Latency Fix” and “Leatrix” and similar apps have been doing for years: a simple modification in the Windows registry for some network settings, that’s all it does. Rewrote the entire filtering/sorting code, now you can sort by class without the app freezing, new filter code is 50-100x faster. Now you can also filter by class and mob while PVP filter is on. G15 display update: now you can see top 3 dpsers besides your own damage. Did you know, your dps and being fast in pvp depends -mostly- on your ping. People with 20-40ms have a extreme advantage over others with better gear but worse ping like 70-80 and higher. Have you noticed how average players (even clickers) who don’t even do anything but PVE still manage to do some decent dps? It’s all because of low ping. 1) Request your ISP to change your ADSL from “Interleaving” to “FastPath”. This can in many cases go as far as halving your ping, or reduce it by 40-50 or more, but many ISPs don’t want to do it (like mine). 2) Change some Windows’ registry settings called TCPAckFrequency/TCPNoDelay/MSMQ. 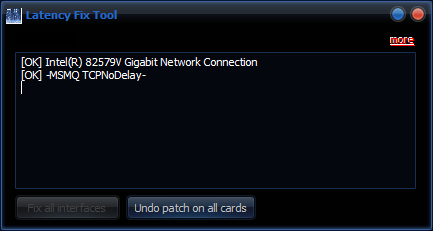 In ARM you can use this in the Help menu > Ping/Latency fix. You must run ARM as admin for this, and then click on “Fix all…” if it’s enabled. 3) Use a proxy service like Battleping. This is the option that will help the most. A big issue with your connection to the game servers is the routing, your data hops through servers at many different locations, which adds more and more delay on each jump. 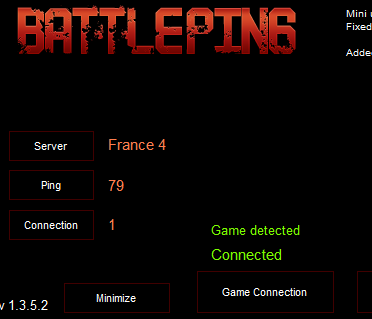 With Battleping what you are doing is connecting to their servers instead, and from there on they relay your connection to the game server through different paths than your ISP would otherwise choose, and they greatly optimize the way your data is sent to them. Even if you have a low ping without it, due to Gameforge using very cheap servers and throttling connections from outside Germany, you might often have lag spikes and general stability issues. If you want to try, you don’t need to register or pay, they let you use it for 20 minutes with full access, after which it will disconnect (and then you can use it again for another 20 etc.. no limit on this). They recommend picking a server that’s closer to the game servers, but in my case I get better results with a server kinda in the ~middle from my place and the game servers. Try a few until you find which works the best for you. 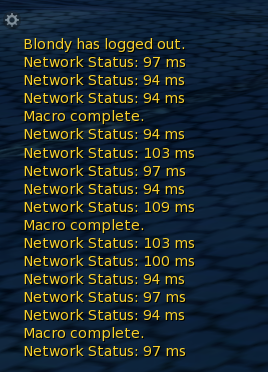 Even if ping seems lower with some servers than others, they might not work as well once in-game. If you leave BP open permanently, you don’t need to click on “Game Connection” each time you restart the game, only if you restart BP (you must also restart the game after closing BP though). If you see “Game Detected” it’s working; (most times you need to log in game until you will see that message). There are other similar services around, but BP has worked the best for me from a few I tried.